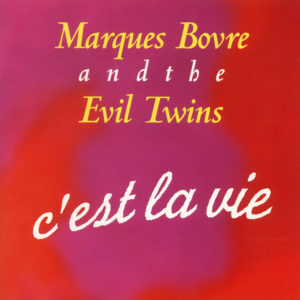 Flyover Land is a 1995 CD release by Marques Bovre and the Evil Twins. Recorded, mixed and mastered at Sleepless Nights Studio in Madison, Wisconsin from February to April 1995 by John Machnik. Produced by John Machnik and MBET. Graphics and Illustration by Mike Laier, assisted by Dale Bengston. Photography by Kent Tenney. 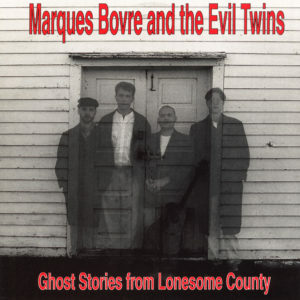 Released on compact disc in June of 1995 (Can Do Records 001). Distributed by Don’t Records.